Pinky to Posh: What inspired you to open Organic Avenue? Denise Mari: Organic Avenue is an idea that I conceived 10 years ago as a result of my journey toward choosing a vegan lifestyle. During my initial days of raw food eating and cleansing, I conceived the idea of a business that would help provide access to a LOVE* (Live. Organic. Vegan. Experience) lifestyle and wanted to make it convenient, accessible, affordable and fun. Initially, I felt a sense of disappointment and deprivation. When I read labels and saw there were ingredients that were unacceptable, I would place them back on the shelves. Through this experience I knew in my heart that others would not go to these lengths. I knew people would find the lifestyle difficult and therefore they wouldn’t commit to it. So, I envisioned Organic Avenue as a store, brand and online experience with community, product, services and support that would make the lifestyle accessible. This way others would be able to experience and then embrace this way of living, too. Organic Avenue is my heart and soul’s mission to help people, animals and the environment. 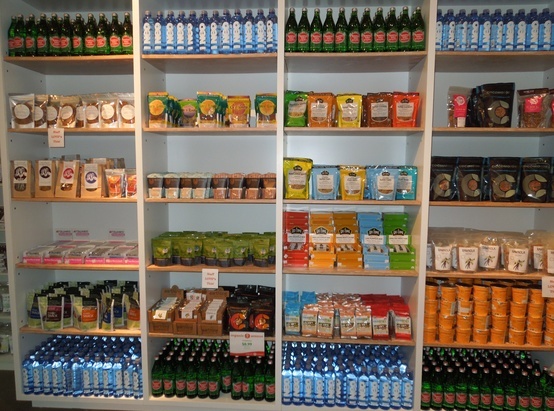 Pinky to Posh: How Organic Avenue products remain “in style” do as compared to other cleanses? DM: Organic Avenue’s core focus is delivering LOVE. 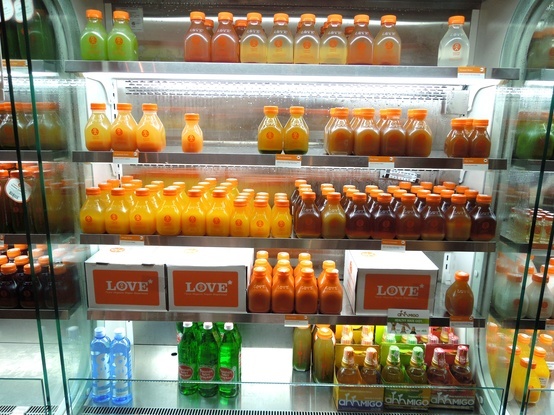 * We want people to achieve vibrant health while enjoying great tasting, healthy food and juices. LOVE* is the acronym we use, but it’s also a word that helps us focus on what is most important – learning to care for yourself. Once you’ve started on a path to self-love you will be able to share positively with others in the world. Pinky to Posh: Who are some of the female celebrity clients/regulars? DM: What I love most is we do not solicit our celebrity clientele. They have spread the word and their love for Organic Avenue on their own, which touches my heart and affirms the work we’ve put in. Celebrities have access to many things. For so many to choose Organic Avenue says a lot. Gwyneth Paltrow and Alicia Silverstone have been huge supporters of the brand. So many female celebrity clients have been spotted all over town with our bottles! Pinky to Posh: Cleanses have become such a trend but why should Organic Avenue products be a staple in one’s diet? DM: Organic Avenue clients find that they have an awareness and consciousness they didn’t have before. There is an empowerment to take responsibility for your own health. To really look at any imbalance or symptom and ask yourself, what I have done or ate that caused it? It’s empowering to know where your food is coming from. Anyone truly motivated to learn and heal have their best chance with a whole food, plant-based diet, eliminating processed foods and any chemical-laden foods. Give the body pure nutrition in a form that can be assimilated and see what happens. Pinky to Posh: Describe the beauty benefits one can noticeably see when using Organic Avenue’s products. DM: All veggies are loaded with healing properties, so juicing is a great way to get a boost of nutrition without using pills or potions. 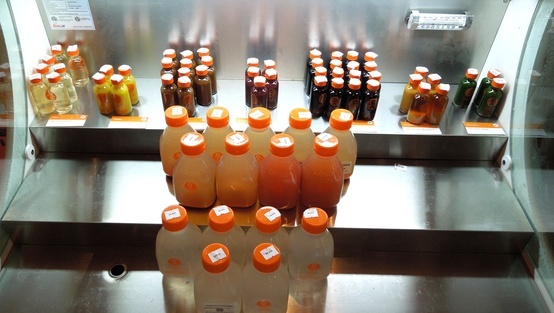 Juicing can be a new and positive, health promoting habit. Start now and you’ll be better for it! You’ll get nutrients that assimilate quickly, so there is no energy-draining digestion. You get all the health benefits you can imagine – clear eyes, skin, weight loss, improved energy, balanced blood sugar, a body with nutrients to build healthy blood and more alkalizing minerals, a chance to give the body time to heal and reboot. There are just so many benefits. 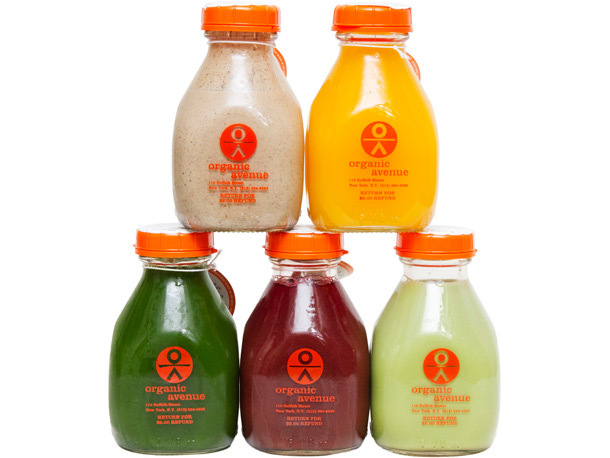 Pinky to Posh: What are the side effects someone should be aware of before starting their Organic Avenue cleanse? DM: Cleansing evokes mostly a psychological hurdle. Though physical cleansing does have its interesting moments, beginners should only bite off what they can chew. If you consider your current diet typical or standard, that is likely very toxic. Therefore, you could start with LOVE*easy, even three days instead of five, which is a gentle introduction to organic food. Each little success creates a strong foundation for a longer and deeper LOVE* cleanse experience. Of course consult with your doctor and be responsible for yourself, but in my experience and hundreds, maybe thousands others at this point who have chosen to juice cleanse or embark on a period of raw food eating for detoxification, there have been no negative consequences. Detoxification symptoms can occur, yet they are generally minor skin eruptions, headaches or digestive discomfort which passes quickly. It’s always good to talk with someone who has done an Organic Avenue cleanse before to hear firsthand how the experience can be. It usually runs a similar course for all. Either the individual is feeling great from the start, or it takes a couple of days to feel the surge of energy. Anyone can do it! 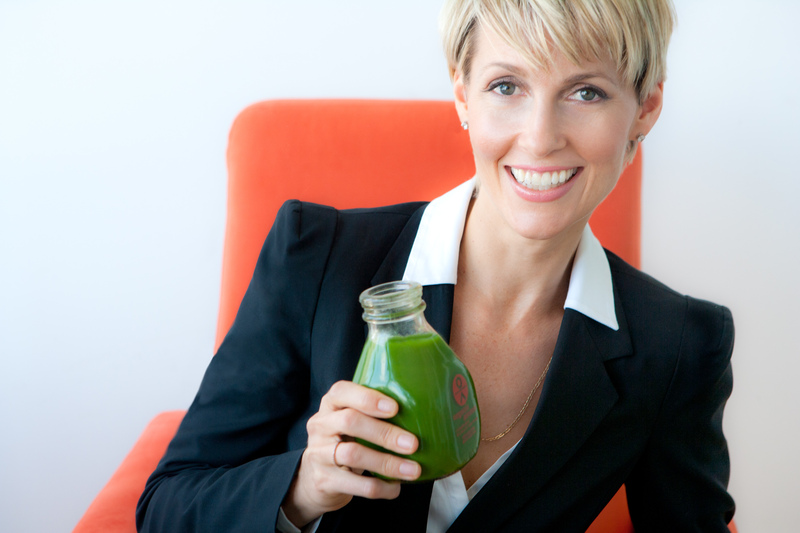 What I love most about Organic Avenue is the ability to “style” your cleanse. Whether you want to LOVE* easy, LOVE* fast, or LOVE* deep, each program is based on LOVE*: Live, Organic, Vegan, Experience. 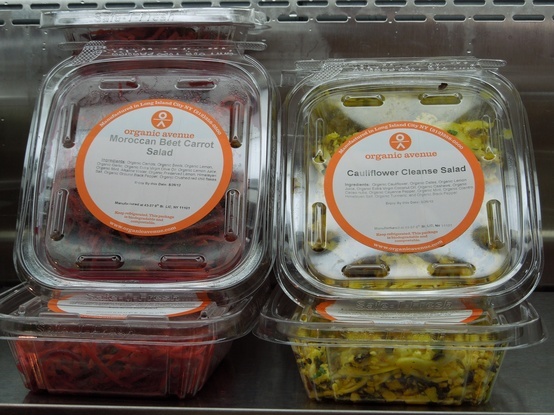 Three Reasons Why You Should Head Towards Organic Avenue Before 5th Avenue! Feel happier! Unfortunately, shopping isn’t always successful…Organic Avenue can make you feel better about that top being way too over priced or those jeans you tried on feeling a bit too tight (obviously that brand must run small!) As Denise stated, we can notice improved energy and balanced blood sugar that can improve our mood and heal our bodies. Be stronger. Holding large shopping bags can be a workout but luckily Organic Avenue’s products can heal and reboot our bodies…bring it on shoe department! Look better. Blame your less than perfect appearance on the dressing room’s lighting no longer! Clearer eyes and skin and even weight loss are only some of the beauty benefits you can see when using Organic Avenue products…let us stare into the mirror with confidence! I found my first LOVE* on Lexington…but now I might be crushing on the new Chelsea location! Find an Organic Avenue near you! « Older Post Be On Your Best Beach Bum Behavior	» Newer Post Loren Leads the Way in Her Louboutins!